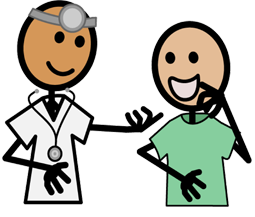 Going to the Doctor: Teaches about a visit to the doctor's office and how the doctor and the nurse care for us. Going to the Dentist: Pictures of a real office visit make going to the dentist a little less scary! My Body: Shows and describes the major organs and their functions. You Are What You Eat! : The major food groups and why healthful eating is important.